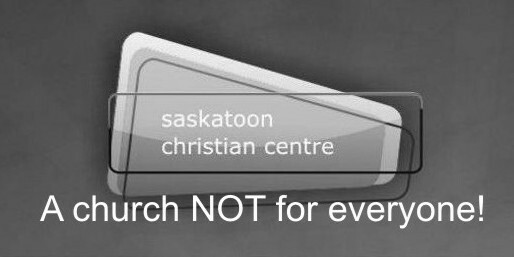 We would like to make a public apology to all of the members and ex-members of Saskatoon Christian Centre and City Centre Church for our involvement in the abusive treatment of you and you’re families. We are especially grieved at the number of friends that we encouraged to join these churches and the destruction that has come into their lives as a result. We are truly sorry for the emotional pain and suffering that we have brought upon you. We ask you for your forgiveness. To those whom we have disconnected from over the years just because you left the church, we ask you to forgive us for the pain that we have caused you. Had we not broken fellowship with you we might have gotten out of these abusive churches sooner. We repent for endorsing the teaching of delegated spiritual authority, the teaching that somehow God delegated spiritual authority to the pastor for our lives. This teaching is a foundational doctrine of both SCC and CCC. It is a fundamental error that cannot be tolerated because it compromises the “priesthood” of the believer i.e. your ability to hear from God for yourself. This teaching has caused much grief in the body of Christ and we renounce it and repent for having had anything to do with it. If anyone would like to contact us, feel free to do so. thank you for your appology it means a great deal to me. I do want to thank you for posting and hope that you will continue to share your insight, knowledge and wisdom here for the benefit of all. At first I thought - "whatever" in terms of this post - but then it started me thinking and I realize that since leaving scc I've thought a lot about how to appologise to my family,friends, other Christians and aquaintances for my behaviour over the years. I'm still working on it! I do want to say that at no time did I ever think - "man those Mills really led me down the garden path". I willingly and knowingly bought into the church, culture and doctrine. It seemed like a safe place for a long time and the benefits appeared to largely outweigh the negatives. We all bought into it with open hearts and impressionable minds - and , well the alternatives "out there" seemed WAY worse. Looks like we were wrong. BUT God in his mercy loved us, fed us and kept us in spite of the "wrongs". He met my needs and those of my family over and over again - which is a testimony to how great God is and how much He loves us. I'm old enough to know that, sure things may have worked out differently had I not gone to scc, but the truth is I did and here I stand today. As Tracie said in her post something to the effect that this experience has helped to shape who I am today - and God still loves me. Peace upon you both in the years ahead. You sure never led me wrong, I agree that something at that place appealed to each and every one of us who got sucked in, for whatever reason. But that took alot of courage and I think everyone who's ever left has had to eat humble pie when they think back about certain people or incidents. The good news is...I can guarantee you are writing to a group who will open their arms with unconditional kindness and forgiveness. Once you leave there, you become an EXPERT at not judging others. All the best in your future! take care. I just wanted to say that Im proud that you posted this. I hope that every one is understanding and forgiving and friendships can be mended. Im so glad that we got out. CCC ruins familys and relationships and it almost ruined ours. Im am so thankful that we were set free before it was to late. Things were rough for a long time and we are still healing but its getting so much better! Our relationship is so fun now and I thank God for giving me parents as wonderful as you! I respect and love you so much! wow alot has happened since we left. I have went though some soul searching myself yet I stayed in my church. I used to attend scc. You and Sue are good Christians by any standards.